Signal Ridge Trail leaves from the recently reconstructed Sawyer River Road. Both these areas were heavily affected by Hurricane Irene in 2011. In the last couple of years the AMC and National Forest have done an excellent job at getting these areas restored back to working condition. The trailhead is now relocated on the southern side of the bridge and is well marked. The trail starts off with little elevation gain as you climb up the river bank to meet with the original trail. Once 200 feet has been gained, the trail levels out as it follows an old access road. 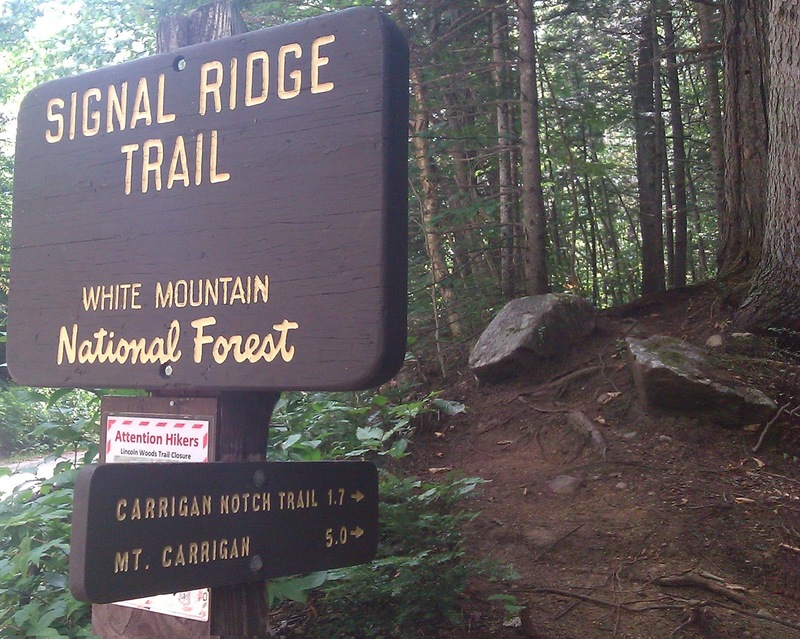 at 1.7 miles the Carrigain Notch Trail leaves on the right and Signal Ridge trail continues its beautiful walk though woods with little elevation gain. At about 2.5 miles the trail starts its climb through a young spruce forest. The trail stays at a moderate grade with occasional rock steps going through several switchbacks. At 4.7 miles you approach the site of the old fire wardens cabin with a well. The well does contain water but purification is necessary. About .3 miles and a few more switchbacks later,you approach the last 25 feet left to the summit. There is a big impacted site here that is great for waiting for friends before going up to the summit. 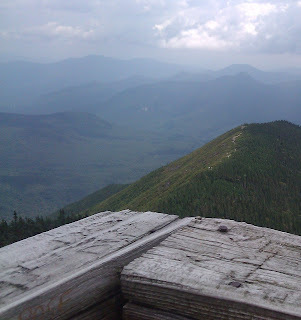 At the true summit there are restricted views until you walk up the fire tower. Once up there you will receive breathtaking 360 degree views. 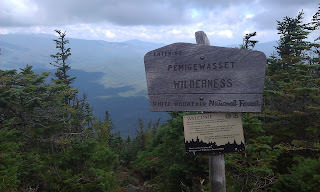 Looking West to the Franconia Ridge, South into the Pemigewasset Wilderness, North through Crawford Notch and everywhere in between. According to the New Hampshire 4,000 footer committee, in the past 5 years, Mt. Carrigain has been the most popular summit for folks to finish up their 4,000 footers on. That is why I chose this summit with it's excellent views to finish my list on. The summit on this day was filled with smiling faces and many congratulations going around for everyone finishing their lists and for a women enjoying her first day on retirement. The hike down is just as enjoyable as the hike up. Beautiful young forests, moderate grades ending in beautiful flat grades along the Whiteface Brook. Ending this hike is a wonderful way to end any adventure. Whether its a day hike to the fire tower or a four year long adventure to finish the 4,000 footers. For more information please visit http://www.amc4000footer.org/ Happy hiking everyone!